This NEW baby quilt is just full of personality and whimsy! Easy applique pieces work with all of the popular methods of appliqué. 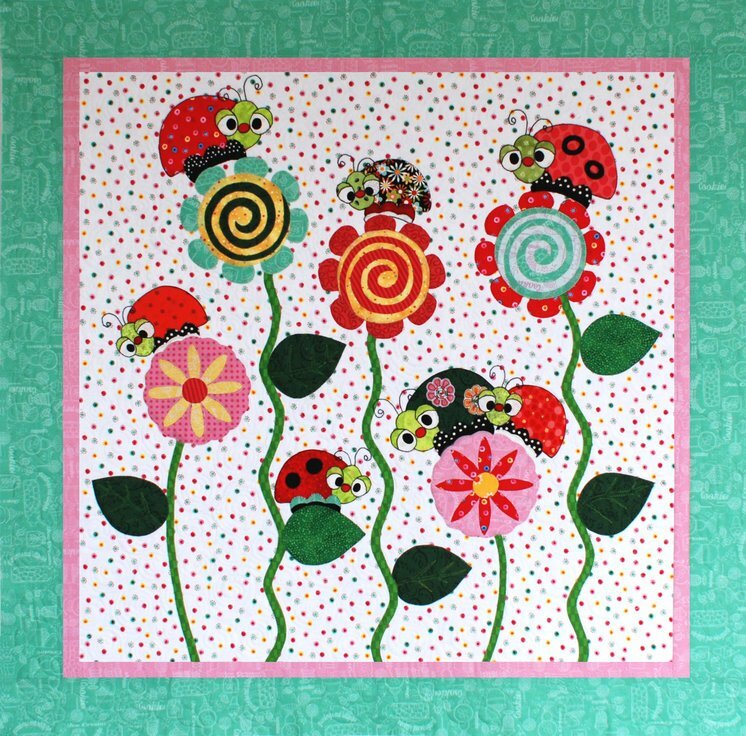 Crazy flowers and different colors ladybugs lets you use lots of scrap fabric when making this quilt. These ladybug families are anxious to help you welcome your new little one!